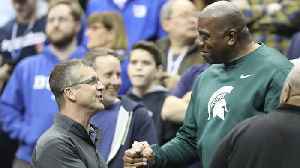 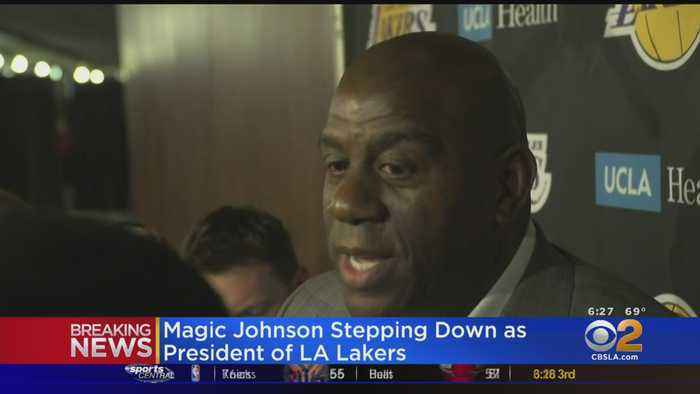 Magic Johnson just announced that he is stepping down as president of basketball operations for the Los Angeles Lakers. 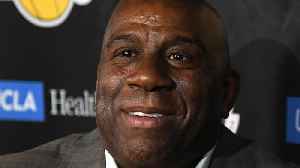 Lakers' Magic Johnson to Leave Role as Team President. 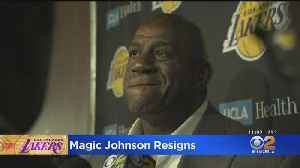 He resigned right before the team's last game of the regular season. 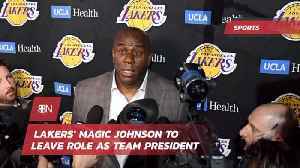 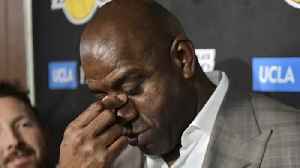 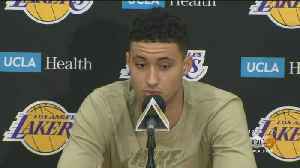 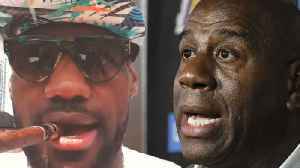 Los Angeles Lakers players Wednesday reacted to the shocking resignation of Magic Johnson as president of basketball operations. 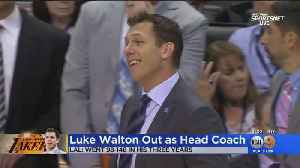 Johnson, who has been the president of basketball operations for the past two years, suddenly announced he was resigning last night. 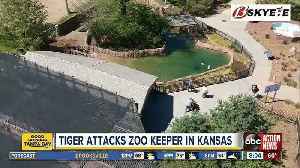 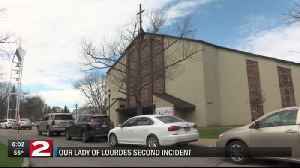 Lesley Marin reports.